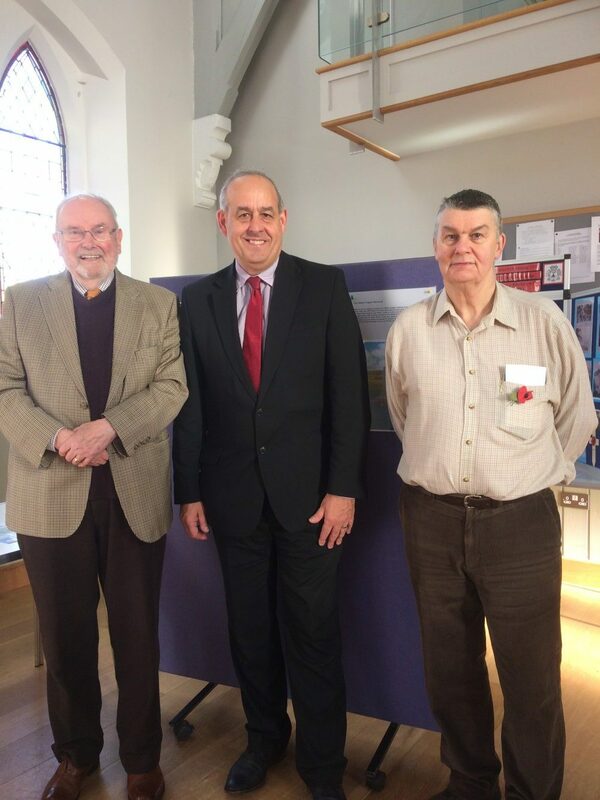 I have joined people at the Tyddyn Street United Church, Mold, for the ‘Flintshire Remembers’ exhibition commemorating the centenary of the First World War. The exhibition is open, and free, to all from now. It opened on 25 October 2018 and remains open until 27 October 2018. It is open daily between 11am-4pm. I was asked by the organisers if I would like to lend any items to the exhibition. Mr Hanson donated around 20 items that were linked Flintshire to the First World War or were part of his family’s history. On Friday 26 October I was asked to give a presentation to those visiting of the impact of war on Flintshire and his family. Local exhibitions, like Flintshire Remembers in Mold, are important and fitting ways for our communities to come together to remember the sacrifice made by so many in the First World War. I was honoured to be asked to lend some of my family history and some items I have collected over the years to the display. Each and every one of us has a member of our family who fought in the First World War, for me it was my grandad, and it is important that we take time to remember what they did to keep us safe. Thanks must go to David Rowe and Mervyn Phillips for organising this fitting tribute to the people of Flintshire. I hope as many people as possible will drop by Tyddyn Street United Church to look at our history and remember those who fell for their nation. Remembrance Sunday is always an important moment in the year where we have the opportunity to commemorate the sacrifice made by those who have fought for our country and for freedom. This year marks the centenary since the end of the First World War and I have tabled an Early Day Motion calling on the Government to support calls for retail shops to remain closed until after midday. This would allow retail workers the time to join their communities and loved ones in remembering those who paid the ultimate sacrifice for our freedom. I have written to the Leader of the Commons and I look forward to the Government’s response.